Is It Good To Trust On Yogas In Horoscope? What are yoga in vedic astrology. Is it good to decide about life just by seeing the yogas in birth chart, how predictions are made by astrologer astroshree, Importance of horoscope reading in a specific way. "Yoga" in vedic astrology gives an impression of a particular arrangement of planets or combination of planets which are responsible for a particular type of impacts in life. Some yogas are good and some are bad and by this people become happy and sad. We also know bad yogas as shraap or doshas in kundli. Angarak yoga, daridra yoga, paap kartri yoga, accidental yoga etc comes under bad yoga where as laxmi yoga, raj yoga, budhaditya yoga etc comes under the good yoga. Is It Good To Trust On Yogas In Birth Chart? Generally people seems very excited to know about the type of yoga present in there horoscope but as an astrologer I don't give importance to these yogas. If you are surprising then here I am providing the real reasons of this. Actually yogas are form when planets are present in a specific combination in birth chart but only arrangements are not enough to do correct prediction. For example there are many persons who has budhaditya yoga in kundli which gives name, fame, money successful life but we can find that some of them are living in a very bad position. 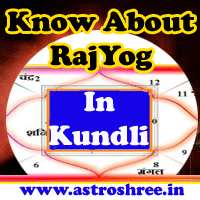 When they show horoscope then astrologers generally tells that "you have raj yoga, you have budhaditya yoga" you will definitely get success in life but in this illusion person spend whole life. At last trust from astrology go away. There are other many cases which I see daily in which in spite of having good yoga person is struggling in personal life and professional life. So it is not good to take any decision just by seeing yogas in kundli. For knowledge of Some Yogas You can read my article "Yogas in Birth Chart". While knowing any thing it is better to see the power of planets, there sight, there positions, there state, ascendant power etc. By it is possible to know the exact power points and loop holes of our birth chart. Horoscope reading is not a fun, minute study is needed to predict about any thing so only best and experienced astrologer can show you the best way of astrology to get success in life. It is also observed in many cases that some people go to astrologers and want to here only positive thing which is also not good because this is just making fool our self. The important thing is that there is no need to fear from any type of bad yogas or bad planets. There are ways to over come from problems of life but avoiding to here about the negative aspect of horoscope is not the solution of problem. We have to keep realistic approach to become successful in life. Yogas are good but are fruitful only if the postive planets are having proper power and sitting in good houses. So while reading about yogas in kundli if you find any good yogas in your kundli then don't get excited and if you are finding any bad yogas then also don't get upset. Consult good astrologer for proper guidance. Here through "www.astroshree.in" you will get proper analysis of kundli which will include impacts of planets in personal life, professional life, health life, love life and not only this you will also get easy solutions of problems including home remedies and special remedies related to Gems stones, using siddha yantras, etc. Click here to know the consulting process of ASTROLOGER ASTROSHREE.